Owner Adam Sisneros has dedicated his life to a career in the metal fab industry. He has spent over 13 years gaining experience and knowledge, perfecting his craft with each project. His talents include welding and custom fabricating structural and decorative pieces of all sizes and shapes. He has mastered stick, TIG, and MIG welding. We expertly design railing, gates, outdoor furniture, fireplace surrounds and fire pit covers, headboards, and more, tailored to fit your design style. From corbels to sink bases, we create custom quality products with precision. We can fabricate large pieces such as spiral staircases, awnings, and shelving without compromising accuracy and detail. No job is too big or too small! We would love to help bring your design ideas to life! Contact us today to for a free consultation and estimate or schedule a time to visit us at our shop. Ventana, Inc. specializes in custom, hand-forged ironwork. Raw steel, copper, bronze, brass, and other metals are exposed to an extremely high heat in our forge. Collin Price, Ventana’s professional blacksmith, hammers and shapes the metal to create the chosen art form. Delivering custom ornamental iron work that exceeds expectations has afforded us a superior reputation in Colorado, and across the nation, with builders, architects and designers. Collin Price is the primary blacksmith at Ventana, Inc. 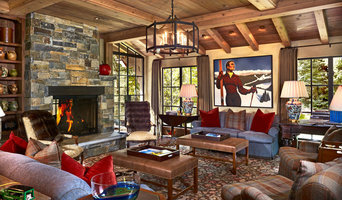 He grew up among a talented family of professional artists in Big Sur, CA. By age 12, Collin’s father had taught him how to work with a hammer, forge, and anvil, to transform raw metal into art. With an extensive background in carpentry, at age 34, Collin decided to pursue his passion for blacksmithing on a full-time, professional basis. He has found harmony in this old world tradition of blacksmithing by creating custom railings, gates, lighting, sculptures, etc. Collin embraces the opportunity to provide clients with a hand-crafted legacy. 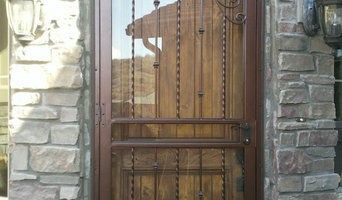 We specialize in window well grates, custom railings, iron balusters and security storm doors. We can also custom fabricate other items as needed. 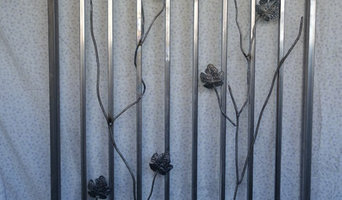 Ornamental iron and architectural metal work. Metal fabrication specializing in interior and exterior railing and fencing. Ornamental iron forging. Custom iron work, from small pieces to large, functional to decorative. Handrails, gates, fireplace screens, tables, garden sculpture, door and cabinet hardware, your vision in metal. Dragon Forge, LTD is an ornamental blacksmithing studio owned and operated by Craig May. Located in the foothills of the Majestic Rocky Mountains, southwest of Denver, Colorado, Craig has been designing, creating and breathing life into metal for over 30 years. His functional art can be found in custom residential homes in Vail, Silverthorne, Breckenridge and along the Front Range. “Custom” is the key word when considering Craig’s work. Using traditional forging methods each and every project is hand crafted, an individual endeavor geared to the client, incorporating the elements of their personal vision, the surrounding architecture and the stamp of Craig’s originality that distinguishes the art of Dragon Forge, LTD. Consider the unlimited possibilities of: railings, fireplace doors, lighting, furniture, hardware, and sculpture. Your Imagination is the only limitation. QUALITY WORK ~ UNIQUE ~ RELIABLE ~ VAST EXPERIENCE Giblin Custom Metal Works provides the greatest range of residential, industrial and commercial metal products and services available. Our devotion to high quality metalwork is the culmination of designing and crafting ironwork for more than 30 years. The highest quality, collaboration and a unique creative touch are all tenets that guide and influence every piece that leaves our shop. In addition to commercial and industrial work, we also specialize in architectural metalwork and have extensive experience working with architects, designers, builders, and home owners. Let’s work together to co-create that wrought iron railing or custom furniture piece that is uncommon and remarkable. The only limit is our imagination. Let’s get to work! We are a custome metal fabrication shop that can handle all your metal needs. Whether you need a custom railing to tie you staircase together or a metal retaing wall in you beautiful garden we will provide you with craftsmanship that will set your project apart from the rest. Over 8 years of metal fabrication experience in ornamental and architectural metalsmithing. Driven by the highest quality of craftsmanship with an efficient awareness to fine details to ensure a superior product. Metal is what we do and we do it well! We help to customize your ideas from a drawing into a reality. C-Squared Studios is about custom work, designed and built from scratch by hand. It is our passion to create one of a kind elements pleasing to the eye and fitting for the environment in which they live. Call us and lets talk about a custom design element for your home, landscape, office or business space. We will work hand in hand with you to make your idea real. If you so happen to lack the creative edge you seek in design, we can conceptualize and offer design solutions for any aesthetic. 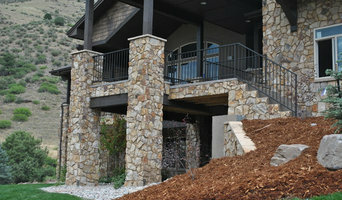 Boulder county's finest custom metal railing fabricators. We specialize in contemporary and traditional wrought iron handrails, unique stair solutions, and general architectural metal fabrication. Custom steel fabrication of stairs, handrail, fireplaces and gates. Blacksmithing as well as general welding. Without ironworkers and their structural know-how, many of the great buildings of the world would never have come to be. But most Denver homeowners are more likely to hire an ornamental or architectural ironworker, who crafts metal pieces that are visible on the exterior. From window frames to grates and balconies, from screens and fences to hardware, these pros shape iron into forms that are as decorative as they are functional. An ornamental ironworker fabricates bulk iron into the types of structures that a particular home calls for, then installs them onsite. Some of these pieces are mass produced, others custom crafted. Many ornamental ironworkers also have the design skills to fashion unique decorative components. 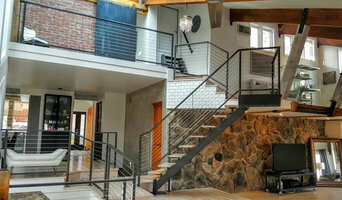 Ironworkers must be trained in safety to create elements such as railings and balconies that both satisfy a home’s aesthetic needs and meet Denver, CO building codes. Here are some related professionals and vendors to complement the work of ironwork: Fencing & Gate Sales & Construction, Decks, Patios & Outdoor Enclosures, Siding & Exteriors. Find an ironworker on Houzz. Narrow your search in the Professionals section of the website to Denver, CO ironwork. You can also look through Denver, CO photos to find examples of ironwork that you like, then contact the ironworker who fabricated them.